Today is International Women’s Day. It is a day, which celebrates the social, economic, cultural and political achievements of women. 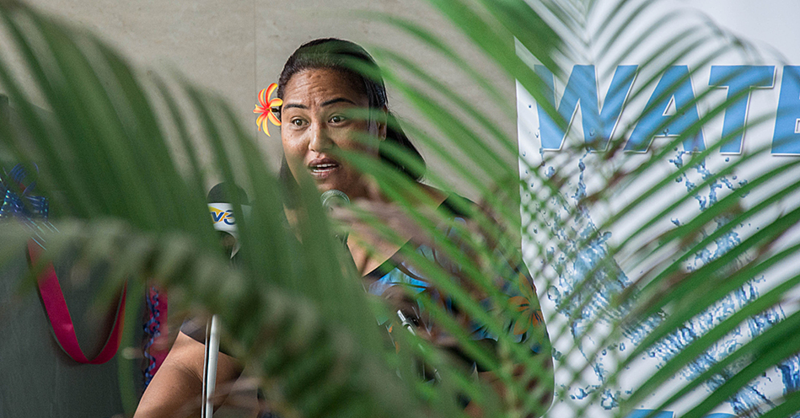 To mark the day this year the World Bank is sharing stories from inspiring young women they met from across the Pacific, including Samoa - highlighting that one of the region’s best resources is its people and talented young women. This is a part of the ongoing series Pacific Possible, in which the World Bank spoke with young and emerging leaders from the region for their take on what’s possible for the future of their countries and the major challenges ahead. Taatialeoitiiti Agnes Tutuvanu-Schwalger is the Chief Executive Officer (C.E.O.) of Samoa’s Land Transport Authority (L.T.A.). She is also an engineer, a mother of three and 28 years old. My name is Ta’atialeoitiiti Agnes Tutuvanu-Schwalger and I am named after both of my grandmothers; which seems fitting on International Women’s Day! I’m 28, married with three children and have worked with the Samoan Land Transport Authority since 2012. I came into it straight from completing my Bachelor of Engineering at the University of Queensland. I was born and raised in Samoa. When I first started I was a graduate engineer and then in 2015 I became a divisional manager, then just last week, Cabinet appointed me as the C.E.O. of the Land Transport Authority, so essentially I’m the boss (laughs). How have you got here? Team work – starting from my family. it’s a huge juggle, to be a young mum and a leader so I’ve had to make sure I have a good support system at home. I have great team work with my husband. And even work wise, I have been able to become a successful professional because of the great team I have at the L.T.A. What makes you get up in the morning? What drives you? My motivation is my family, my husband and my kids. At the end of the day I guess I have to bring home the bacon (laughs) and ensure I am financially secure for my family is my drive. Secondly, I am passionate about being able to make a difference and contribute in a positive way to developing Samoa. What about advice to young women who want to become involved in public service? My advice would be to use what you learnt from University or whatever studies you’ve undertaken but also when coming into the workforce, be more open to advice and suggestions from others in the workforce who may not have gone to university but have experience. Don’t be narrow minded and don’t lose your common sense, as a manager and as a leader, it’s what I look out for in young people who join the workforce. I pass that on, even to my staff, if we can keep our offices clean, be on time, adhere to regulations of the office; if you can do that, you can easily tackle the big work. 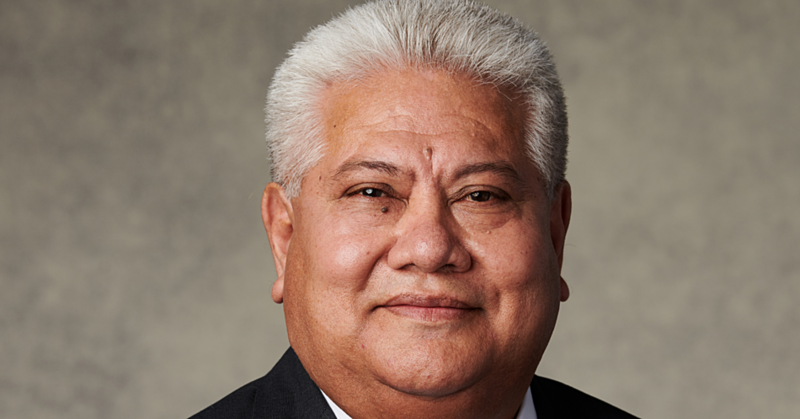 What are the biggest issues in Samoa right now and how can they be addressed? I think, on the theme of International Women’s Day, we face issues with domestic violence and a solution to this starts from home. 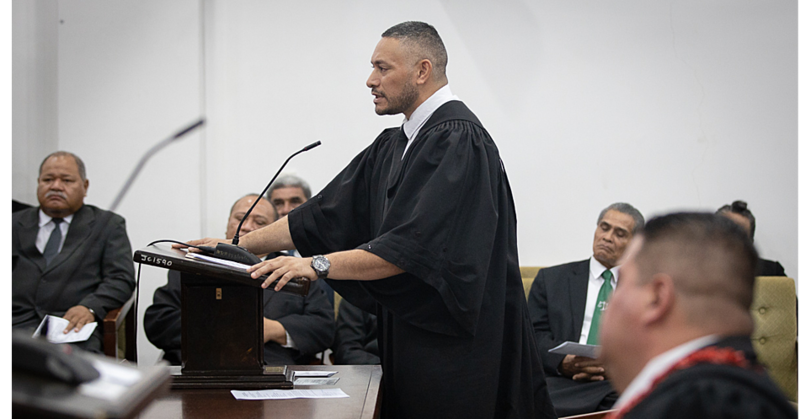 Samoa is a very God-fearing country, so if we all work together, including our churches and community, we will find a solution to domestic violence. In terms of my work: one issue is the vulnerability of Samoa to climate change. For our road networks, the LTA has a good relationship with the World Bank, [who are] carrying out studies on our road network’s vulnerability to climate change hazards. The strategy is already in place for Samoa to undertake and if we can implement that, we should be able to mitigate the effects of climate change on our road network. Where do you see the Pacific as a region, in 25 years? I hope to see our Pacific islands helping each other in terms of capacity building. The issues we have with road transport here in Samoa are occurring in other Pacific countries too; I’m sure some countries already know what to do and what the solutions are. It would be good to have information sharing and cooperation amongst the Pacific, so we can learn from each other and find practical solutions to our own problems. If you could be remembered for one thing – what would it be? I endeavor to be known as a mother of three who was also able to undertake the responsibilities of a C.E.O. and have a positive impact on the country. 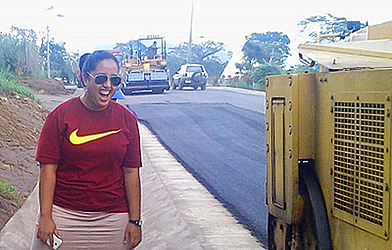 *The World Bank has been supporting Samoa to improve their roads since 2013 through a project focused reducing road systems vulnerability to the effects of climate change. The views expressed in this article do not necessarily represent the views of the World Bank Group and its employees.